BridgePort Brewing Company’s own pin-up gal and Stumptown Tart, Bernie Dexter, is back on shelves for its eighth year. 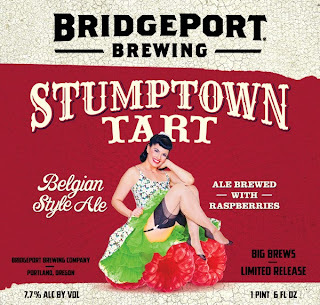 While the past eight years have celebrated popular berry combinations, this year’s brew brings the focus back on a northwest favorite – the raspberry. “It’s hard to believe that we have been making this beer for eight years now,” commented brewmaster, Jeff Edgerton. “We knew it was only a matter of time before we would want to bring back a fan favorite like the raspberry."